Nowadays, online gaming holds huge potential for developers as well as investors. Also, online gaming has become a major part of the entertainment industry. So what is the organization structure of such a lucrative industry? The chart below indicates an overview of a game company structure. According to the above organizational chart, the game company is basically divided into four departments – Development Department, Marketing Department, HR & Administration Department, and Finance Department. Each department has further divisions that decentralize the functions. The basic task of a development team is to follow the concept and blueprint of the game and to build the game from zero to one. The programming team undertakes the game technological development, such as system maintenance, functions adding and improvements, system security, and system supports. The art and game content design team are responsible for building a virtual world in the game. With 3D and 2D designers, concept artists, they create everything in the game world, from characters, actions and architectures to plots, tasks and levels and so on. 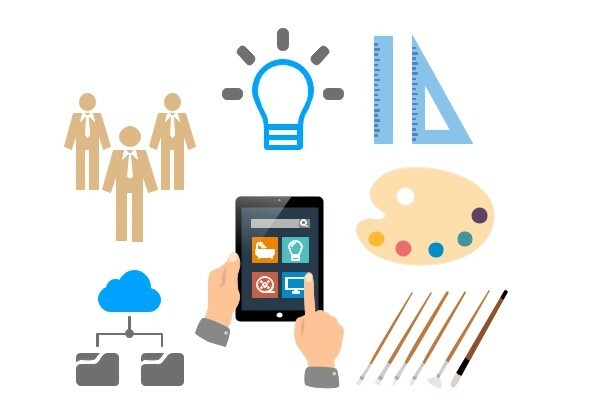 All in all, the development team is to bring the concept to reality. The major job of the marketing team is to bring the game to the public view. They are responsible for the sales income and brand awareness. Generally speaking, they make promotion, campaign, and activities on online or offline platforms to draw people’s attention and encourage them to play the game and pay for it. 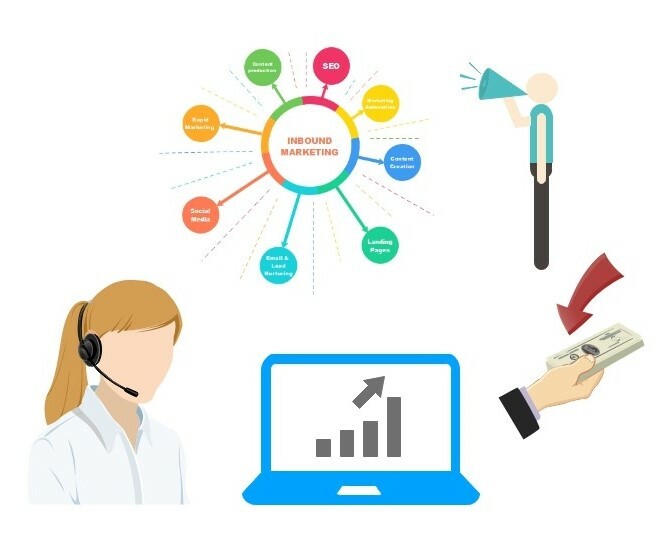 Also, the customer service team need to deal with the problems and collect the data information for the development team for better improvements. The administrative work can encompass a wide variety of duties, such as general office management, assisting an employer, answering phones, speaking with clients, clerical work (including maintaining records and entering data), or a variety of other tasks. And the HR responsibilities include recruiting new employees, maintaining benefits and payroll, mediating conflicts, engaging in training and development, and keeping up to date with tax laws and labor laws. The functions of a finance department mainly include planning, organizing, auditing, accounting for and controlling its company’s finances. The finance department also usually produces the company’s financial statements. Here is the finance department org chart. 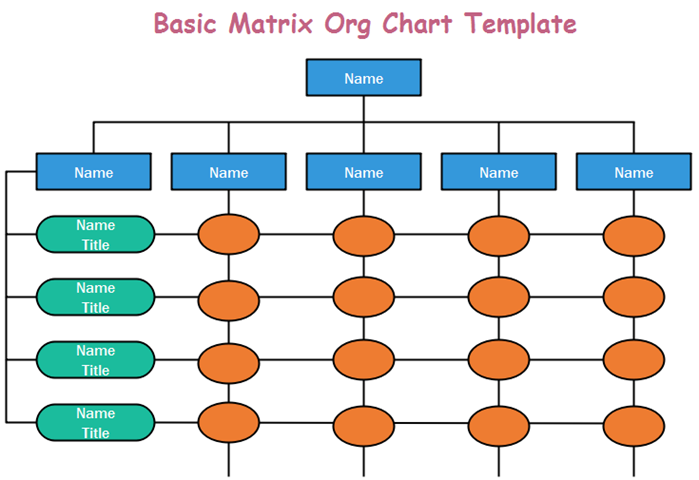 Wanna Create Your Own Organizational Chart? This org chart how-to guide would help you start from the very beginning and end up with a beautiful Org Chart quickly. 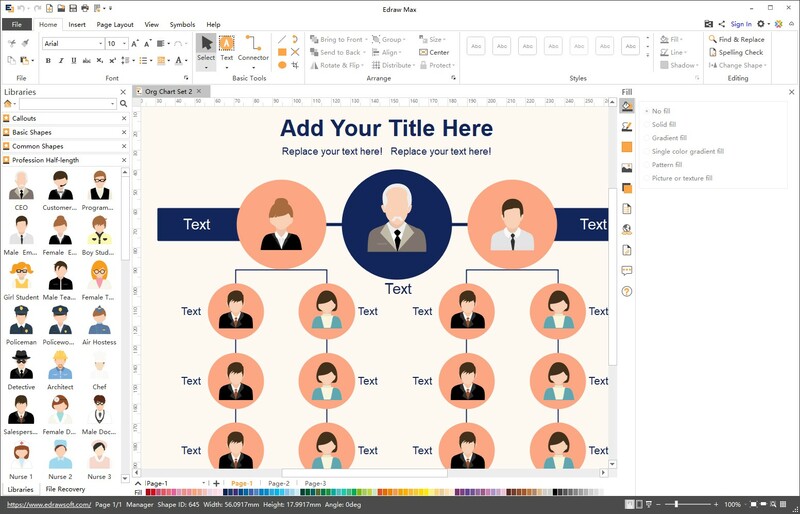 It uses Edraw Max which allows you to design whatever style you want based on your personal requirements, and with presentation quality results. Alternatively, you can try more advanced human resource management functions by free download the easy org chart software – OrgCharting. Many project-based companies need to apply the matrix organizational structure as they need the responsive and effective participation of people from different functional units to finish a project. 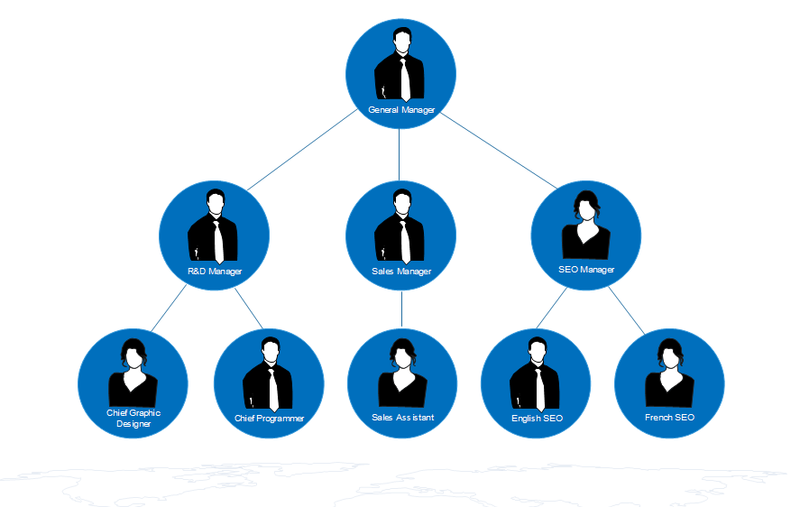 Here presents a matrix org chart example for an electronic products company. Looking for beautiful and polished org chart templates? Stop here and browse our presentation-quality org chart templates, which are totally editable. 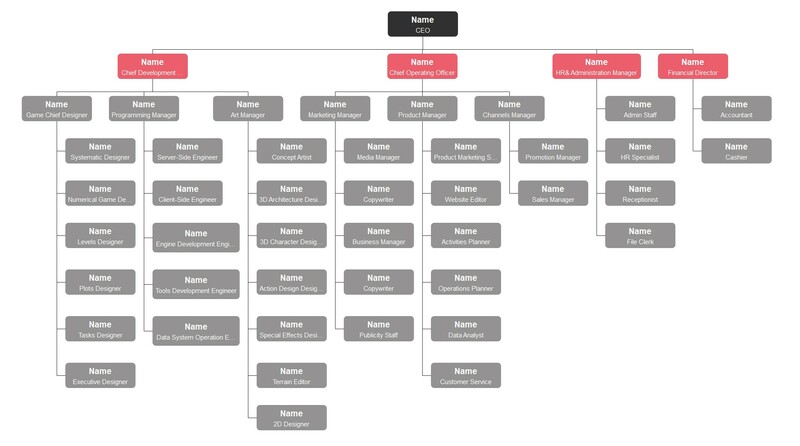 These templates will help you make great custom org chart for your company and save you lots of time. Replace your own personal data. Replace your own photos with one click. Add or delete a card with one click. Change the shape color and line color. 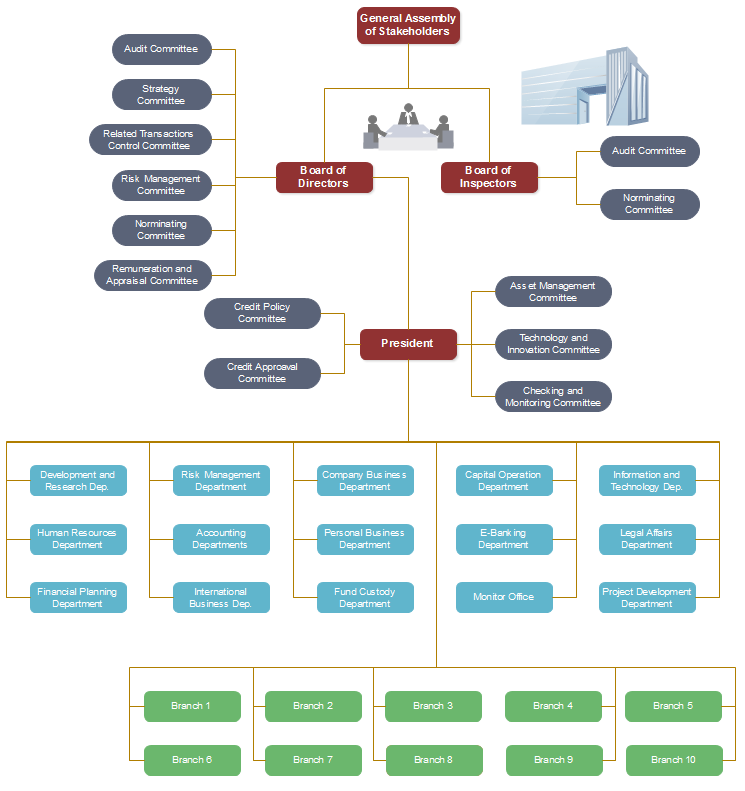 This software company organizational structure template displays an untraditional and unique design. It’s more suitable for making presentations, showing in meetings or preparing work report. 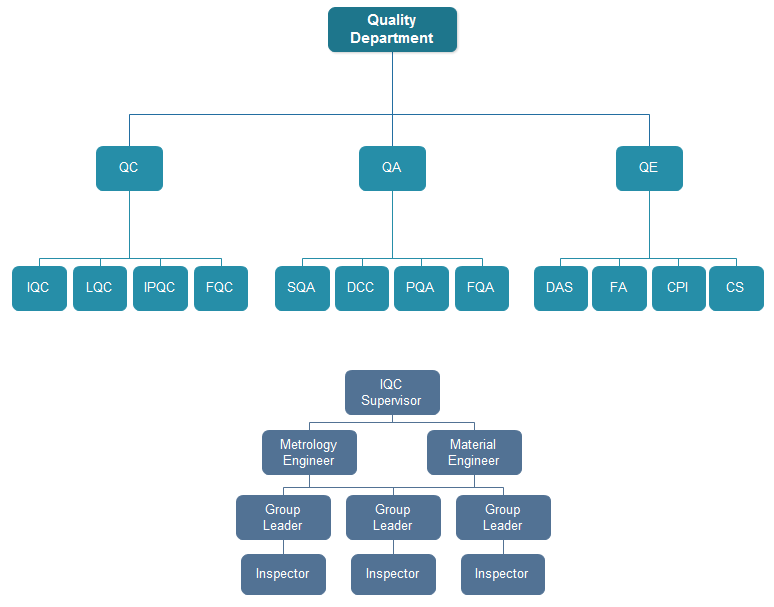 The main goal for the quality department in an organization is the quality management. It is focused not only on product and service quality but also on the means to achieve it. 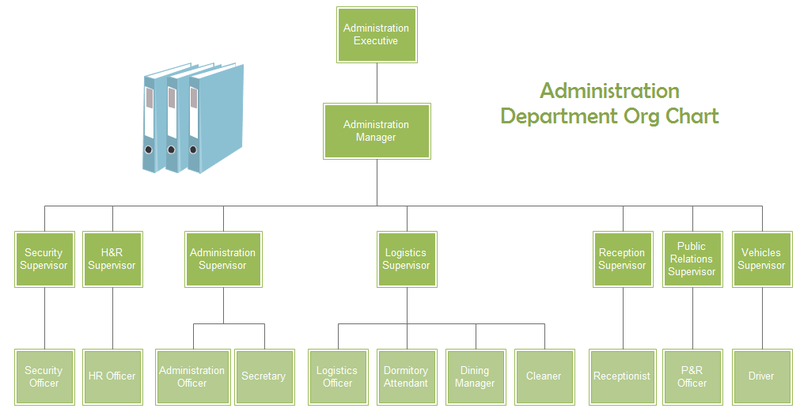 Here is a quality department org chart template that shows a basic structure. 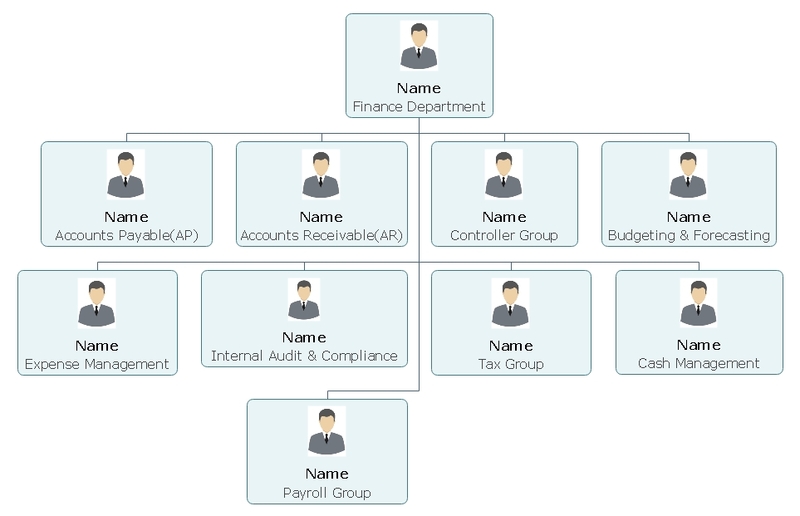 The modern org chart is not only used for presenting hierarchical structures and reporting relationships, it could also be an employee data carrier, through which you can easily get the employee information you need. The employee information is stored in the card shape, but due to the spatial limit, usually on the card only shows 2 or 3 basic information such as Name, Title, and Department. Other information like Contact Info, Address, Salary, etc., will be hidden behind. If you need that information, you can access them through easy commands. 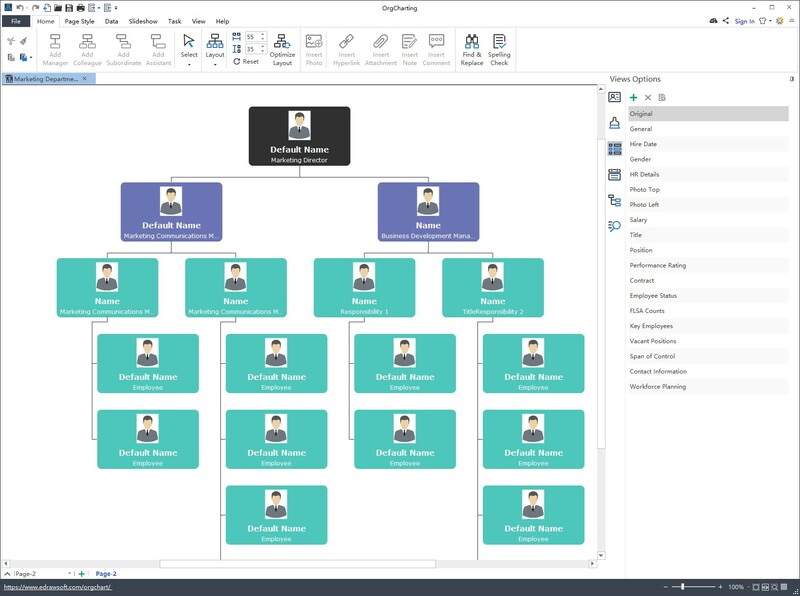 For example, when using an org chart software, your org chart might look like this: there is only name, title, department and picture on the card.